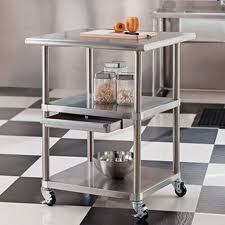 I’m into stainless steel carts right now. 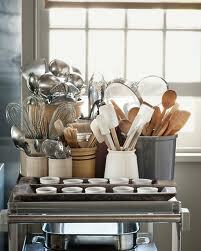 They are super versatile and look great, too. 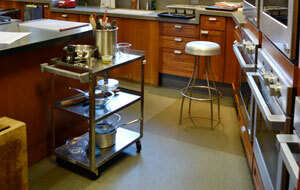 A cart can be an extra work station in the kitchen, providing extra counter space for food prep. 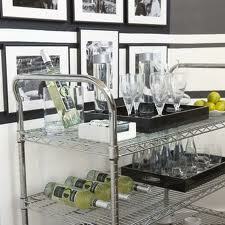 It’s also excellent for entertaining/parties as a beverage cart or a place to set hors d’oeuvres. 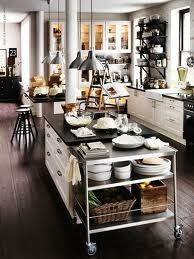 It can store cookbooks, pots & pans, baking supplies. There are so many uses. Best of all, it can be moved around to where it’s needed…kitchen, dining room, living room, even roll it outside when you’re having a BBQ. 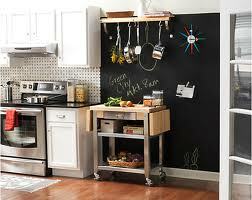 And after, push it up against a wall or into a corner. I feel like everyone should have one!